It all came faster than expected – today is the last day I chose to stop posting regularly on Google+ before the so-called Sunsetting that will start next Tuesday on April 2. My first post on Google+ was sometime in September 2012 and that means I’ve posted there almost daily for more than six and a half years. I met a lot of wonderful people from all over the world there, some of them I even got to meet in real life. I’ve posted thousands, maybe ten thousands of photos and many other articles. Thankfully, almost none of those will be completely gone when Google+ is being wiped off the face of the internet in a couple of days because I mostly posted in parallel to my own website! Together with only a few hundred other users I was invited into the Google+ Create program and in the high times some of my photos and other posts were so popular that they got thousands of Plusses, as the Likes were called on Google+. 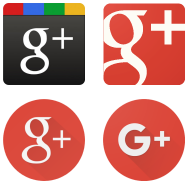 It was a great time and even though Google+ had slowed down somewhat since then, it was still the social network of choice for many people who were dissatisfied with all the other ones. It was heaven for photographers, technically superior and vastly more user-friendly than the competition and perhaps we won’t see anything like this ever again. For this reason and the great people who kept Google+ alive all those years it’s a huge disappointment that Google decided to give up on its social network that was so far ahead of the rest of the pack. Back when the end of Google+ was announced, I was really, really angry. Over the last few months, I saw Google+ decline more and more as most people left for other places and now I’m just sad that everything will cease to exist next Tuesday. But it won’t be like it never happened – Google+ has changed the landscape of social media for the better and now there are newcomers like Pluspora and Mewe around. Especially the latter looks very promising because the people behind the scenes are actively taking care of us Google+ refugees and even provide a tool for importing Google+ data. But I’m still not putting all my eggs into one basket, though – my resolution to not post anything to a social network I don’t also have on my own websites has proven to be very valuable after what happened to Google+ and I will continue to archive everything on my own. But that doesn’t mean I will stop posting to other social networks, quite the contrary – I will still be on Twitter, Facebook, Instagram, MeWe and (occasionally) Youtube. And I hope I will see everyone on some of those platforms again! But for now it’s… Goodbye Google+, you were the best social networks of them all!